After months of research, Xcel Energy has notified the Public Service Commission of Wisconsin that it will not convert the third boiler at its Bay Front Power Plant in Ashland to biomass as previously planned, mainly due to cost considerations. Verso Paper Corp.’s mill in Bucksport, Maine, is eliminating fossil fuel use by installing a 25-megawatt biomass turbine generator. 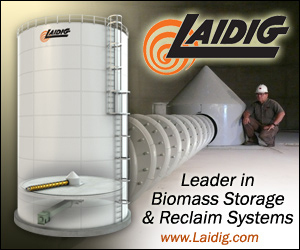 The $40 million project will allow the company to switch from using coal and tire-derived fuel to biomass. The recent signing of a Community Workforce Agreement ensures that hundreds of jobs created during the construction of Adage's 55-megawatt biomass power plant in the western Washington town of Shelton will be filled by local skilled workers. Energy crop developer Ceres Inc. has released the results of a survey that indicate 71 percent of respondents are interested or very interested in growing dedicated energy crops, and 77 percent have underutilized land on which to establish them. Biomass energy developers, farmers and landowners will have an opportunity to learn more about growing miscanthus as an energy crop at the first Freedom Giant Miscanthus Field Day hosted by Repreve Renewables LLC in Soperton, Ga., on Jan. 13. The South Carolina Department of Commerce, Kershaw County and the Central SC Alliance announced that Southeast Renewable Energy will build a renewable energy facility in Kershaw County. The $50 million investment is expected to generate 20 new jobs. St. Marys Paper Corp. has signed a 10-year PPA with the Ontario Power Authority for electricity produced at its proposed biomass combined-heat-and-power plant. The plant will be constructed adjacent to St. Marys’ paper mill in Sault Ste. Marie. 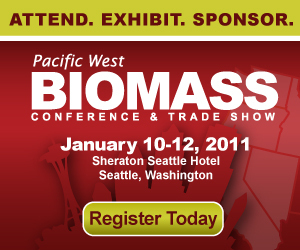 At the Pacific West Biomass Conference & Trade Show in Seattle, industry experts will explain how introducing structured price indices before engaging long-term power purchase agreements can be a critical hedging tool to spur healthy investment.